Fantasy football tips: who should you bring in this month? 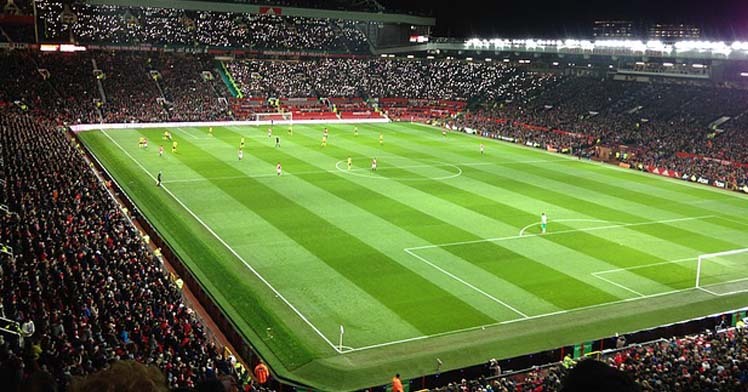 With the international break already a distant memory, sports betting fans are widely turning their attentions back to the Premier League, and it isn't just the bookmakers that are seeing healthy business as a result. That's right – the UK's fantasy football leagues are also whirring back into action, which has led many to wonder whether their own teams could do with a bit of 'nip and tuck'. Here are some of the players that we reckon you should bring into your team in October. He may have been the frequent subject of Brendan Rodgers-related gags while at Liverpool, borne out of the Northern Irish manager's loyalty to the midfielder, but the Welshman's form at new club Stoke City has been no joke. Allen has already scored four goals this season after his £13m move from the Merseyside club in July, which could help to make him a fine bargain choice for your own team's 'engine room'. The former Hamburger SV and Bayer Leverkusen ace didn't look like the wisest of signings after his first season at Tottenham, the forward having made 28 league appearances but only scored four times. This season, however, has seen the South Korean recapture the form that made him such a star in Germany, his four goals and an assist in three games during September landing him the Premier League's Player of the Month award, as reported by Metro. Not all of the best players to bring into your fantasy football squad during October are necessarily of the 'bargain' variety – just consider Arsenal forward Alexis Sanchez, who has been a revelation for the Gunners since his arrival from Barcelona two years ago for a fee believed to be around £35m. In the midweek Champions League game against Ludogorets Razgrad, he opened the scoring with an exquisite chip, and with Arsenal's next game a home fixture against an out-of-sorts Middlesbrough on Saturday, we wouldn't bet against him racking up a cricket score of goals and assists. Everton may have shipped goals aplenty under former manager Roberto Martinez, but new boss Ronald Koeman's regime has brought renewed organisation at the back, and the purchase of former Swansea captain Ashley Williams has played a great part in that. The strong, aggressive and commanding defender has proved a more than able replacement for John Stones, who departed for Manchester City in the off-season, and Everton's upcoming fixtures are ones at which Williams could rack up a couple more clean sheets. The 28-year old England attacking midfielder struggled on his initial arrival at Anfield from Southampton. But under current manager Jürgen Klopp's counter-pressing style, he has flourished, producing impressive displays such as in his team's 5-1 battering of Hull City, in which he scored his third club goal of the season and created two others. It prompted a tribute from Klopp, who said of Lallana: “He likes to train, he likes to work, he was like this from the first day.” We suspect that many fantasy football managers are beginning to feel the same way about the man who cost Liverpool a reported £25m in 2014. The Chelsea forward's goals may have been instrumental in his side's Premier League title success in 2014/15, but in common with much of the rest of the Stamford Bridge squad, the Spain international was underwhelming last term. Whereas Costa returned to pre-season last year late and overweight, this year, new manager Antonio Conte has helped to ensure that striker has come back to the pitch fit and sharp. The statistics tell their own story – according to The Telegraph, Costa's shooting accuracy is currently 70 per cent, compared to last season's 52.8 per cent, while he has also made 65.2 sprints per game, up from 62.3 last year. If you're in need of a bargain left-back for your fantasy football team, you could do a lot worse than Stoke City's Erik Pieters, the Dutchman signed for just £3m in 2013. The Potters' upcoming fixtures include highly winnable matches against the likes of Hull, Swansea, West Ham and Bournemouth, while the defender has continued his strong form from last season, in which he made more tackles than any other in the league, according to Opta. The Danish playmaker has featured prominently in the final third for Tottenham thus far this season, with WhoScored.com rating the £11.5m signing from Ajax in 2013 as “very strong” for long shots, direct free-kicks and taking set pieces. Although he has not scored for the White Hart Lane side so far this season, he has registered plenty of attempts on goal and assisted Dele Alli's equaliser a minute from time against West Brom. He reckon it's only a matter of time before he hits his very best form. 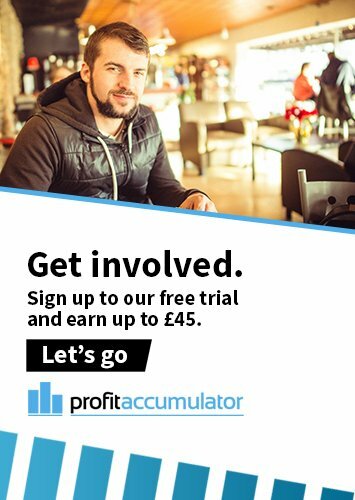 As you might expect, we love fantasy football here at Profit Accumulator and can't wait for the next set of Premier League fixtures to see how our own latest signings work out. However, you can never guarantee that you will win in fantasy football, whereas you definitely can consistently generate big money when you place matched bets with Profit Accumulator. So why not discover for yourself such an incredible way to make money from betting by signing up with us today?